Paul continually drives home that we—God’s people individually and collectively—are the temple of God, and that His spirit is meant to live within us (I Cor. 3:16, 6:19; Acts 2:38). In order for that to happen, we have to start with the right foundation and build with quality materials. This should be a sobering verse for us. Just like the Israelites, God has sent each and every one of us to a particular place and time and He is working on demolishing the existing dwelling (our carnal nature) so it can be completely rebuilt from scratch. Are we hindering or helping that effort? What if our spiritual temple building project has come to a standstill? What can we do about a lack of zeal? Every one of God’s people runs low on zeal sometimes—there’s a natural ebb and flow in life. Sometimes it’s because we get distracted by trials, or just by keeping our heads above water as life comes at us with breakneck speed (“the cares of this world”). Sometimes it’s simply out of selfishness and completely losing sight of what’s important. The net result is the same. God tells His people through Haggai to consider their ways. The New Living Translation says “look at what is happening to you”, which is more passive than I like, but also highlights the actual consequences their actions (or lack thereof) were yielding. In other words, think about where you are, and what you are doing (or not doing) that has put you in this position. 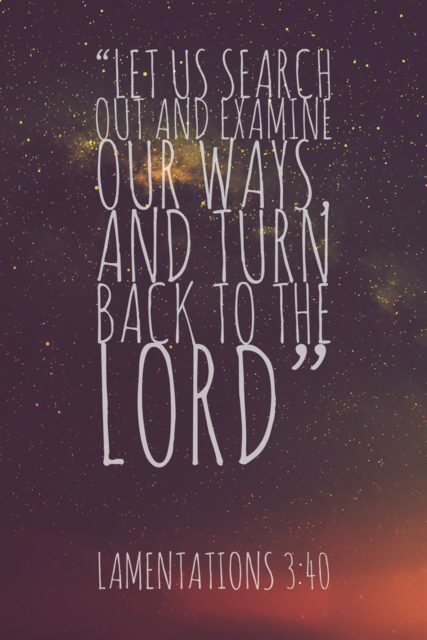 Paul tells the Corinthians that they must constantly examine themselves, “as to whether you are in the faith. Test yourselves…unless indeed you are disqualified” (II Cor. 13:5). This topic is a fairly common theme in Paul’s epistles, in fact. He told the same church in Corinth, “Therefore let him who thinks he stands take heed lest he fall” (I Cor. 10:12). Going through periods of low energy, apathy, or complacency isn’t, in itself, a great danger. In fact, it’s a pretty normal experience in life. What is dangerous is not recognizing when it’s happening, and taking action to course-correct. Taking action is the key. God doesn’t just leave the Israelites—or us—hanging. He tells Haggai what He expects of His people to remedy the problem. “’Go up to the mountains and bring wood and build the temple, that I may take pleasure in it and be glorified,’ says the Lord” (Hag. 1:8). He tells them to take action. Get up the mountain. Just do it. There’s encouragement mixed in with the command, as He reminds them “I am with you” (Hag. 1:13). But it’s the next part that’s really interesting. We’re told in verse 12 that the people obeyed the voice of the Lord, “and so the Lord stirred up the spirit” of the people—NLT says “sparked the enthusiasm”. Note that first obedience was required, and then God gave them the zeal needed to continue. They couldn’t generate that feeling, the spiritual energy or renewal. But when they refocused on God and His commands, He rewarded and helped them with the rest. During those times when we feel most distant and are struggling to want to study or pray, He is right there if we are willing to reach out. But it requires us taking those first few steps on faith, believing that He will give us what we need to keep going. Personally, I think about it a lot like I do about exercising. There are many cold mornings when the alarm goes off at 5:00 and running is the absolute last thing I want to do. But I’ve found that if I can convince myself that I can just walk if I don’t feel up to it (“walking isn’t so bad, I like walking”), that by the time I get my clothes on and take my first few steps I’m up for running instead. It’s that first step of getting out of bed and putting on clothes that’s the hardest—the rest tends to takes care of itself. We’re given a great example of what a message like Haggai’s should drive us to when we realize that we’re fresh out of zeal. 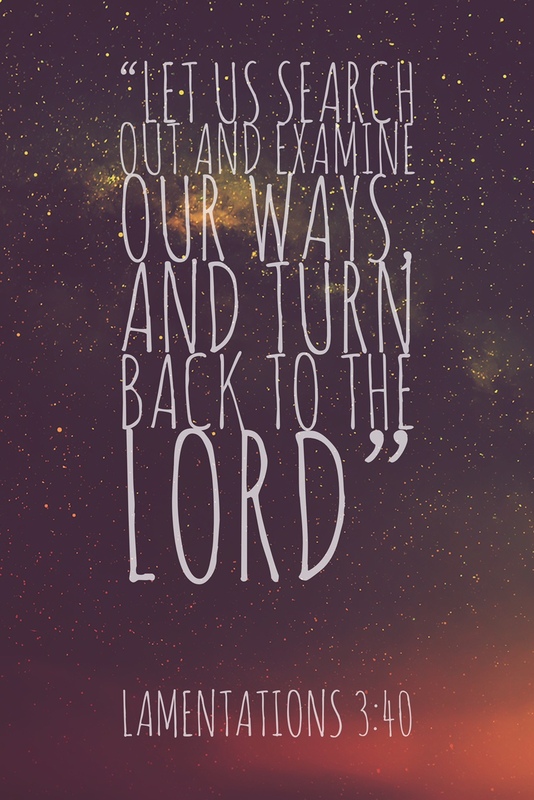 In Lamentations, we’re told, “Let us search out and examine our ways, and turn back to the Lord” (Lam. 3:40). It’s a fact that our circumstances often become difficult when we place their own selfish interests (however well-meaning) before God’s. It forces Him to get our attention somehow. So if you’re going through a period like that, it’s worth taking a hard look at your life to see if you’re spending all your energy tending to your own concerns—and have none left for His. When we put God first and seek to do His will by working on our spiritual temple, He will bring us joy and prosperity (Matt. 6:33, Prov. 16:3). Haggai gives us a playbook for when we find ourselves in a spiritual ebb and lacking the energy to pursue God’s way with zeal. It’s pretty simple. Consider our ways. In other words, examine yourself and be brutally honest. Take action. And yes, sometimes that means fake it till you make it. We have to start taking the right actions even if we don’t feel like it yet or aren’t yet being driven by the right motivations and zeal. We can’t build anything by ourselves, but He won’t do it without us. Paul is telling us to pick up the hammer, build it, make a start, do your part, and God will do His part. In other words, just take a step or two up the mountain.